Naturally … meant both as an adjective describing the natural surroundings, the community personality and outdoor activities and an adverb, as in, “of course Sheridan.” Sheridan Naturally: beautiful, simple, diverse, western, friendly, educated, brewed, authentic, mountainous, adventurous, vibrant, tough, real … you name it. Sheridan has mountains, plains, farming and ranching, while also hosting world class golfing and polo. Sheridan is a great place to retire, yet young entrepreneurs are thriving here. Sheridan is quiet and serene, but take a look at the events calendar and you’ll never want for something to do. Sheridan, together with our entire Sheridan County, is a visitor’s paradise, no matter what the season. Whether you’re looking for sporting events and outdoor adventure, or fine dining and extraordinary art, look no further. The high plains to the east offer excellent upland bird and big game hunting, while the Bighorn Mountains to the west afford opportunities for hiking, mountain biking, fishing, camping, snowmobiling, and skiing. Then there’s the Sheridan WYO Rodeo, theater, art exhibits, historic sites and buildings, street festivals, concerts in the park, unique shopping in our Historic Downtown … and even polo. All in a setting that perfectly blends Western charm, beautiful scenery, and a vibrant and active community. Naturally. State of Wyoming Information Center. 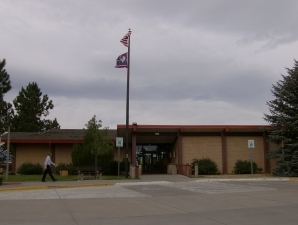 The Sheridan Travel & Tourism organization is housed inside the State of Wyoming Information Center (Visitor’s Center), just off of I-90 Exit 23. This center is available to provide resource information to visitors and travelers – from the ready-to-help staff at our front counter, to weather and road reports, to the many maps and brochures in our racks, to the glimpse into Sheridan County history in our museum. The Information Center is a “must stop” place for visitors to Sheridan County. The Sheridan County Chamber of Commerce office is located in the heart of our Historic Downtown, at 171 N. Main St. Drop in to see us as you’re exploring Sheridan … we’ll help with “things to do” ideas and questions about our community. Travel & Tourism Website. A good online resource for tourism “things to see and do” in Sheridan County is the Sheridan Travel & Tourism website – www.sheridanwyoming.org – jam-packed with hundreds of offerings for our visitors (and residents). You can reach Sheridan Travel & Tourism at (307) 673-7120 or (888) 596-6787 or by emailing info@sheridanwyoming.org. Sheridanwyoming.com Website. A second online resource for “things to see and do” is the www.sheridanwyoming.com website, provided by Sheridan Media. Or simply Contact Us if you’d like more information for your visit to Sheridan County.